YUKON – When the words “Rackla” and “Carlin style” deposit are mentioned, we often think of gold. Not this time. Say “North Rackla” and think of very good base metal grades. That’s what Cantex Mine Development has been finding in this massive sulphide zone. Cantex has received results from nine holes drilled this summer. Four holes tested mineralization at the Discovery zone. The best hole was probably Hole YKDD18-009 that averaged 27.05 ppm silver, 2.53% lead and 3.72% zinc over 8.3 metres, including 61.60 ppm silver, 11.10% lead and 7.18% zinc over 1.0 metre; and 47.70 ppm silver, 7.53% lead and 7.15% zinc over 1.0 metre; and 32.20 ppm silver, 1.04% lead, and 8.58% zinc over 0.70 metre. Cantex drilled five holes at the Extension zone where fresh sulphide mineralization was encountered below the strongly weathered material drilled previously. 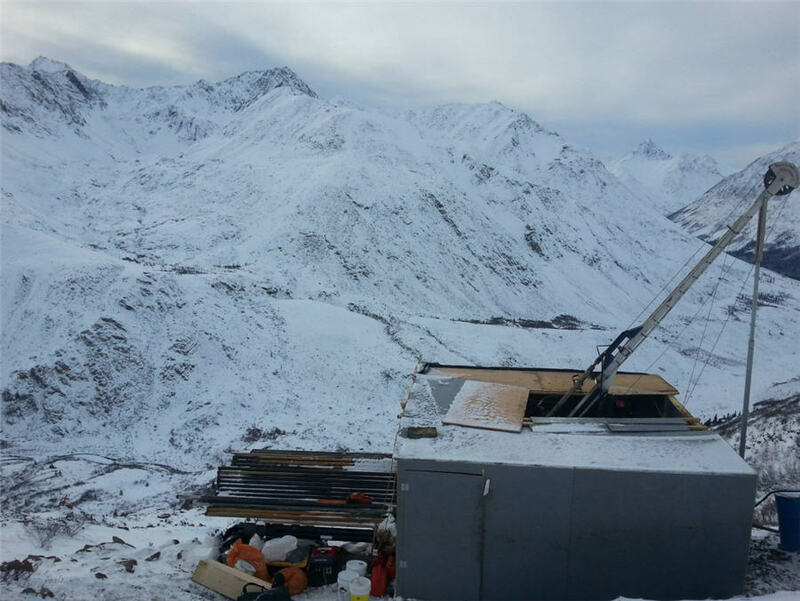 The exceptional hole there was YKDD18-014 that returned 46.5 ppm silver, 0.18% lead and 0.49% zinc over 2.0 metres; and 122.6 ppm silver, 6.74% lead and 10.27% zinc over 22.0 metres, including 158 ppm silver, 6.93% lead and 30.00% zinc over 2.0 metres; and 475.5 ppm silver, 18.03% lead and 13.73% zinc over 2.0 metres.